Tremendous thanks to the City of Golden and Mayor Marjorie Sloan for this wonderful honor and amazing proclamation! ← Navjoy Named a Colorado Companies to Watch Winner! 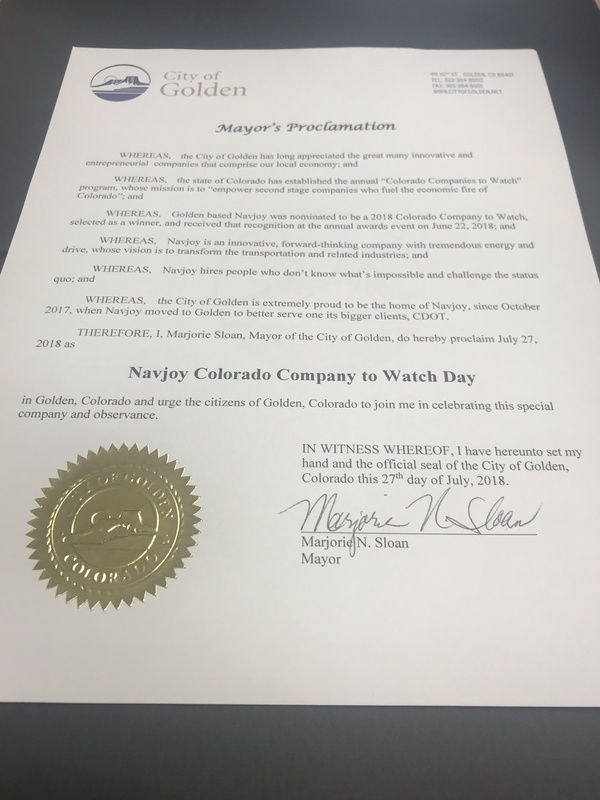 Navjoy Named a Colorado Companies to Watch Winner! Navjoy is selected as a Colorado Companies to Watch Finalist! How can Navjoy transform your Smart City Systems? Our team of experts look forward to learning about your operations and answering your questions.